The CONNECT intervention was developed to address the shortage of palliative care clinician specialists by training oncology infusion room nurses to provide primary palliative care. The CONNECT intervention was developed to address the shortage of palliative care clinician specialists by training oncology infusion room nurses to provide primary palliative care in the infusion room setting.2 Nurses participating in the CONNECT intervention receive training from an experienced palliative care provider as part of a 3-day course, as well as ongoing support from CONNECT nurse coordinators. 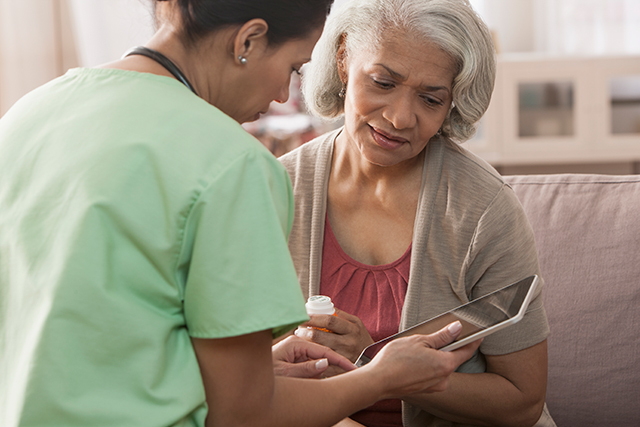 Although an ongoing randomized study is evaluating the impact of the CONNECT intervention on patients and caregivers, its impact on nurse providers is not an objective of that study. As part of a telephone interview, a series of open-ended questions designed to evaluate the personal and professional impact of participation in CONNECT were posed to 11 infusion room nurse-participants in the CONNECT intervention at the University of Pittsburgh Medical Center Hillman Cancer Centers who had received CONNECT training within the last 3 to 15 months and agreed to participate in the study. “New RN practice skills [gained through participation in the CONNECT intervention], including palliative care communication techniques, challenge the task-oriented paradigm of nursing practice and have the potential to greatly alter the traditional workload and schedule of infusion rooms. Modifications in staffing models and supportive work environments may help to ensure sustainability of oncology nurse-led primary palliative care,” the authors concluded. 1. Feldenzer K, Rosenzweig M, Soodalter JA, SchenkerY. Nurses’ perspectives on the personal and professional impact of providing nurse-led primary palliative care in outpatient oncology settings. Int J Palliat Nurs.2019;25(1):30-37. 2. SchenkerY, WhiteD, Rosenzweig M, et al. Care management by oncology nurses to address palliative care needs: a pilot trial to assess feasibility, acceptability, and perceived effectiveness of the CONNECT intervention. J Palliat Med.2015;18(3):232-240.